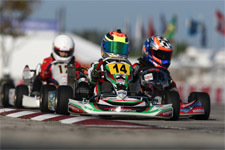 Entering the final weekend of competition in the 2013 Formula Kart Productions Florida Winter Tour (FWT), cadet karting standout Anthony Gangi Jr. would look to add yet another championship title after claiming the TaG Cadet title the weekend prior. 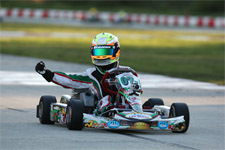 Coming into the final Rotax event with three final wins to his credit and an ample points advantage before drops, Gangi Jr. would need to be on his game at the tight and twisty Ocala Gran Prix facility as he took on the hotly contested Mini Max field. Taking to the track for the two official qualifying sessions on Friday, Gangi Jr. would find himself uncharacteristically mid-pack once times were clocked in both. Only qualifying a few tenths back in each session, the Brookville, New York resident would place 16th overall for Saturday's events and 12th for Sunday. 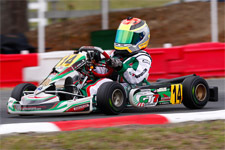 Showing the tight competition in the 31-kart strong Mini Max field, Gangi Jr. would need to move up during the wheel-to-wheel action to keep his title hopes alive. 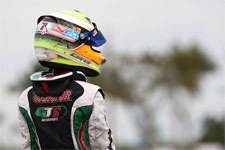 Saturday's prefinal action would see the 2012 US Rotax Grand National Mini Max champ progress four positions to line up 12th for the day's feature race. 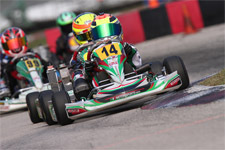 Showcasing his strength and talent, Gangi Jr. would then move up to finish just outside the top-five with a sixth place result, with the championship now coming down to the final round. Starting 12th for Sunday's events, rain would begin to fall on lap five of the prefinal and result in a disappointing 17th place finish for the young gun. Putting everything on the line in the final, Gangi Jr. would power through the field. Progressing from 17th on the grid, Gangi Jr. was able to make pass after pass as he began to hunt down the leaders. Battling his way to the front, the multi-time champion was able to recover with a third place podium result and fast lap honors. With the final points tabulated, Gangi Jr. would come just 25 points shy of the 2013 Florida Winter Tour Mini Max Championship. 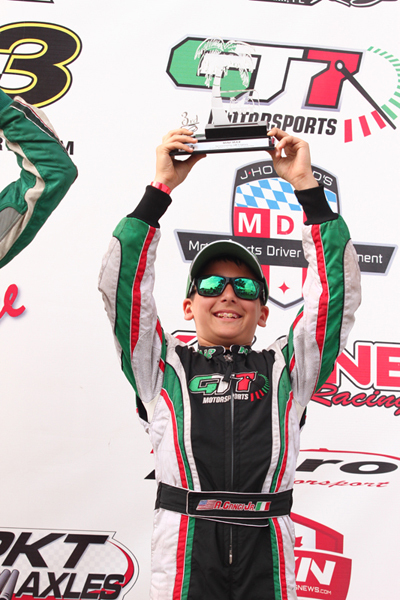 Celebrating on the podium as the Vice-Champion, the GT7 Motorsports/Tony Kart pilot ended a stellar 2013 FWT run after claiming the overall TaG Cadet title the weekend prior. 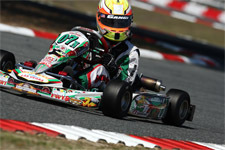 Gangi Jr. will now turn his focus to the World Karting Association (WKA) Manufacturers Cup program as the second round of the 2013 schedule commences this coming weekend at the Carolina Motorsports Park in Kershaw, South Carolina. Anthony would like to thank his long time tuner and driving coach Chris Perez and engine builder Daniel Lambert (Disco Dan) for all their help and support during the 2013 season to date. Additionally, Gangi Jr. would like to thank Sargeant Motorsports for their continued support along with sponsors Millwork Solutions, Holeshot Drive Systems and PKT Axles.